Using the Detailed Dynamic Reports in the PREMIUM account it’s quick and easy to view progress by subject, level, category and activity. Smiley face icons and a progress bar indicate proficiency and completion for each topic. It’s even possible to drill down to see the results of individual activities. Parents, teachers and children can rapidly identify areas of difficulty or areas for extension. ZooWhiz is the flexible, curriculum-linked, online system that motivates kids to learn through fun. It’s FREE for teachers and kids to use at school. There’s even a limited FREE version for use at home. For parents who want even more motivation and learning power for their kids there’s also a very affordable PREMIUM subscription option! ZooWhiz gives teachers and parents the tools to identify and respond to each child’s learning needs. It draws its educational content from a bank of over 17,000 carefully-crafted, finely incremented learning activities covering maths, punctuation, spelling, grammar, vocabulary, phonics and reading for kids aged 5 to 15. ZooWhiz harnesses kids' love of animals and games to create a highly motivational environment that recognises that each child’s learning needs are different. Even the activities themselves have humorous twists and engaging content to keep children on task! The extraordinary, multi-faceted range of educational activities and rewards in ZooWhiz ensure its educational and motivational appeal. The very design of ZooWhiz is focused on rewarding kids and reinforcing their learning. Kids just keep coming back again and again to ZooWhiz! ZooWhiz is so easy for kids to use! Once signed in they select Learn and Earn from the main zoo map. Then, according to their level and needs, they choose their own educational activities or work on content pre-set by their teacher or parents. Coins and Learning Points accrue for each completed activity. In Milestones Learning Points children unlock ZooWhiz Certificates and kids are able to can access reports showing their progress. Kids can spend their coins in My Animals to build their zoo or play games in the Arcade. ZooWhiz encourages children to become independent learners, building confidence with immediate feedback and enabling them to self adjust their level of academic challenge. To build their zoo or spend time in the Arcade they need to manage their coins carefully, giving them room to develop self-discipline and learning autonomy. 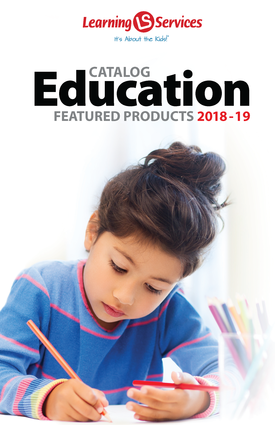 Parents of children with PREMIUM subscriptions and teachers of all children can use custom content selections to focus on children’s individual learning needs. Teachers can also use custom content selections to focus on learning outcomes for an entire class. The educational design and content, software engineering, animations and graphic art that underpin ZooWhiz are of the highest professional standard. This outstanding quality ensures that ZooWhiz works as a seamless, integrated whole that allows parents, teachers and schools to work together for the good of every child. Children using ZooWhiz start by creating a FREE Zoo Keeper account for use at home or school. Teachers can also create FREE Keeper accounts for the children in their classes and these too can be used at home or school. FREE Keeper accounts are portable from class-to-class and school-to-school. FREE Keeper accounts give children Free Play access to the full range of the educational content in ZooWhiz both at home and at school. However, home access is limited to a set number of activities each week. Parents wanting more motivation, more weekly activities and more powerful tools to see how their children are progressing and the ability to create content selections customised for their child can upgrade their children’s FREE Keeper accounts to PREMIUM Zoologist accounts using a low-cost subscription model. With a child being able to use the one ZooWhiz FREE Keeper account at home and at school ZooWhiz creates an integrated learning environment that harmonises the support from both these environments for the good of the child. Every time a child (FREE Keeper or PREMIUM Zoologist) completes an activity, the results are recorded in the Central Result Vault. The Central Result Vault uses Intelligent Recording to differentiate between results of activities completed during free play and results of activities completed in custom content selections (created by either parents or teachers). This allows greater flexibility in reporting, so that teachers and parents can see how children are progressing in the context of the content selections they created! The Central Result Vault also consolidates results, allowing parents and teachers to view each child’s progress as a whole, no matter where or when they’ve answered the activities.